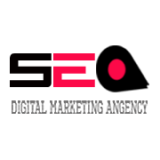 Seoexpert.no is a Norway-based digital marketing company which delivers Search, Social, Local and complete e-Commerce strategies to the global brands through an online platform. ©2016 Seoexpert.no. All Rights Reserved.